O/o the State Programme Officer, RNTCP, Assam. 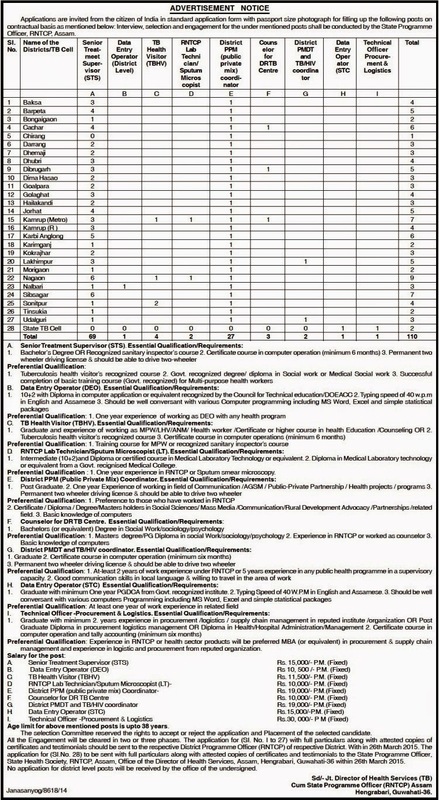 Applications are invited from the citizen of India in standard application form with passport size photograph for filling up the following posts on contractual basis as mentioned below: Interview, selection and engagement for the under mentioned posts shall be conducted by the State Programme Officer, RNTCP, Assam. Educational Qualification and other details: Pl check the following image.